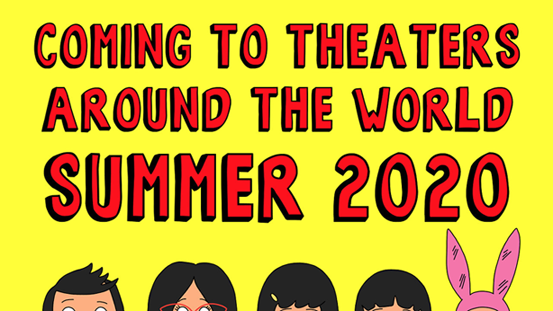 The Belchers are going to Hollywood! 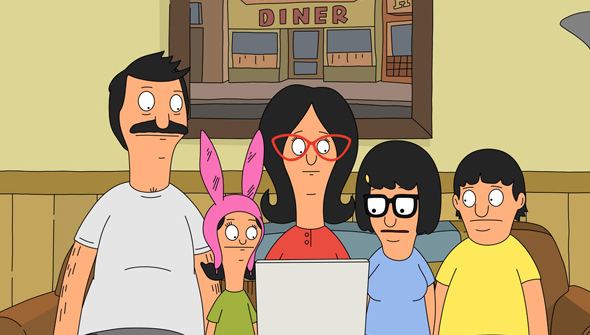 Fans of the Fox sitcom Bob's Burgers have this week found out the exciting news that the series will be getting a movie, set to hit cinemas in 2020. The news is pretty surprising in that relatively few animated TV series are given movie spin-offs. And while the series, which began in 2011, is popular, it doesn't seem the most obvious candidate for a feature-length outing. After all, it took The Simpsons (which is a cultural phenomenon) 20 years to get their first foray into features. Let's put it this way- it's a (pleasant) surprise that Bob's Burgers got a movie before fellow Fox stable-mate Family Guy. Bob's Burgers is a pretty low-key series, so it'll be interesting to see how it adapts to the wider canvas the movie screen affords. It's hard to imagine the Belcher family being caught up in a world-in-the-balance type situation or going off on some grand adventure. For now, though further details remain under wraps- beyond a July 17, 2020 US release date. We know the movie has to scratch every itch the fans of the show have ever had, but it also has to work for all the good people who’ve never seen the show. We also know it has to fill every inch of the screen with the colours and the sounds and the ever-so-slightly greasy texture of the world of Bob’s — but most of all it has to take our characters on an epic adventure. In other words, it has to be the best movie ever made. But no pressure, right?